Internationally recognized as one of the leading conductors of his generation, Gerard Schwarz is also a prolific and dynamic composer studying with such distinguished mentors as Paul Creston, Rodger Sessions, Jacob Druckman, Milton Babbitt, Vincent Persichetti, and Pierre Boulez. His arrangements of Richard Strauss' Der Rosenkavalier Suite, Debussy's Pelléas et Mélisande Suite, Humperdinck's Hansel und Gretel Suite, and Webern's Langsamer Satz are performed by orchestras worldwide, while "Holiday Classics" and "Echoes," released by Naxos in 2010 and 2011 respectively, include vibrant arrangements and original compositions by Schwarz and some of this country's most renowned contemporary composers. In Memoriam (2005), available on the Naxos label, is performed by Music of Remembrance and cellist Julian Schwarz and was named the Best New Work of 2005 by Seattle Weekly. It was also recorded earlier by Avie Records performed by the Royal Liverpool Philharmonic Orchestra and cellist Jonathan Aasgard. Rudolf and Jeanette (2008), written in memory of Schwarz's maternal grandparents who died in a concentration camp, was premiered in its original form as a chamber ensemble piece by Music of Remembrance, and is also recorded for the Naxos label. Fanfare magazine describes it as "poignant and deeply moving," Gramophone magazine as "an affecting blend of tender and disquieting utterances." The full orchestral version was premiered in Zagreb in 2008. Human Spirit (2008) was composed for children's choir and chamber ensemble and is based on words by Aaron Copland. It was subsequently performed in its full orchestra version by the Seattle Symphony Orchestra in September 2011. Two Duos for violin and cello — performed by Maria Larionoff and Julian Schwarz — was premiered in 2008 at the awards ceremony honoring Schwarz as First Citizen of Seattle. His Trio for horn, violin, and piano — commissioned by the Seattle Chamber Music Festival — was premiered in 2010 and described by Musicweb-international as "ingeniously constructed within its thoroughly accessible romantic idiom." Above and Beyond, premiered by "The President's Own" United States Marine Band in March 2012, is followed by A Journey, composed as a large scale orchestral tone poem to be premiered at the Eastern Music Festival in July 2012. Schwarz is a graduate of the High School of Performing Arts and The Juilliard School. 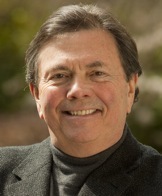 He is a recipient of the Ditson Conductor's Award from Columbia University and has honorary doctorates from The Juilliard School, Fairleigh Dickinson University, Seattle University, Cornish College of the Arts, and the University of Puget Sound. In 2001, he was named Honorary Fellow of John Moores University, Liverpool. During his distinguished career he has received 13 Grammy nominations, six ASCAP awards, and numerous Stereo Review and Ovation awards, as well as a nomination for a primetime Emmy.